The other day, I overheard a conversation at work between two older white men, one complaining about how white people cannot use the N-word. He defended the white SAE frat boys, comparing them to the black Kentucky ball player who said the N-word under his breath. So I thought about his non-argument, and came to these 7 reasons as to why white people should be allowed to use the N-word. 1. Because life has never been kind white folks. I wonder if police ever pull them over because of all of those damaging white stereotypes. 2. Because they never get credit for anything trendy. Maybe those ancient Egyptians stole their braids and brown skin from ancient peoples of Euro descent too. 3. Because appropriating their culture is so last century. #BlackOutDay #MelaninMonday #MelaninOnFleek…. #SunBurnOnFleek…said no one ever. 4. Because they don’t have control over the English language. Twerk, On fleek. Yaaaas. Bae, Turnt…. Fetch. Gretchen, stop trying to make Fetch happen. It’s not going to happen. 5. Because they want to be able to sing along with all the Black rappers. No one understands what Iggy is saying, and Macklemore’s been pretty quiet…so what else will they rap along to in the meantime? 6. Because they’ve been using the word for hundreds of years and it isn’t fair that they have to stop now. And, I guess, since our country has always been about about fairness, we might want to consider this for a few seconds. 7. Because America is becoming more PC and white people are getting the short end of the stick. I mean damn, ya’ll can’t say the N-Word, can’t wear blackface, and can’t have white-only sections anymore. Your whole world feels uprooted, doesn’t it? 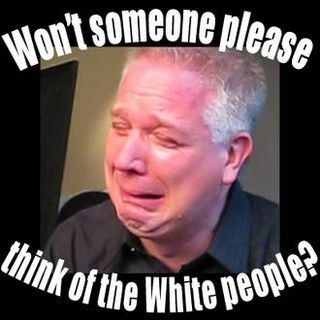 Do white tears season food well? Maybe I can sprinkle a few on my collard greens—not that they aren’t bomb already. Photo credits (in order): Imgflip.com, Stylite.com, Iammelanin.com, Themarysue.com, Funny or Die, Memegenerator.net, and Whitepeoplearedisgusting.tumblr.com. no, this is dumb excuses. If you’re white, dont say the n word. Done.